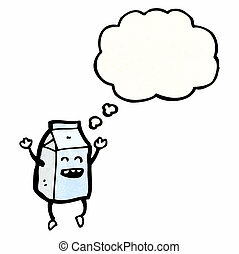 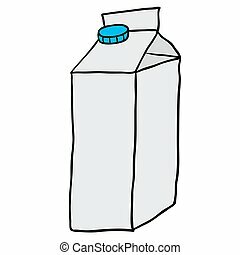 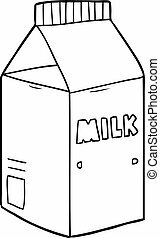 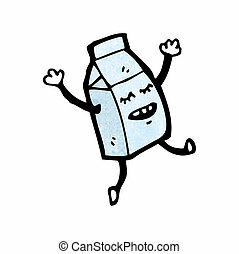 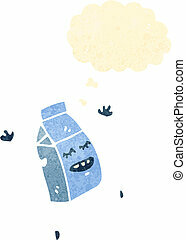 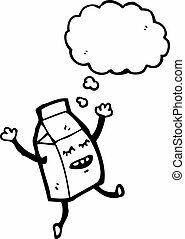 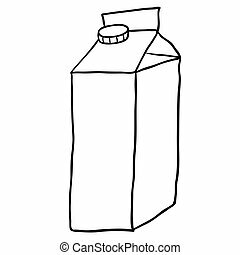 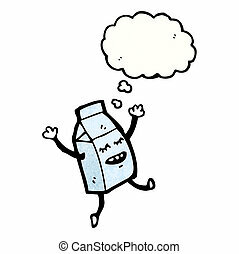 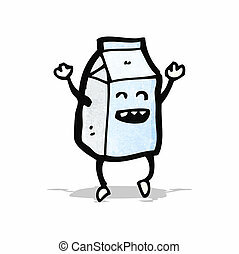 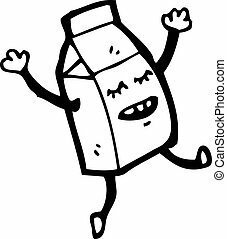 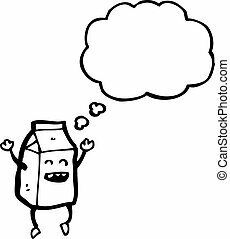 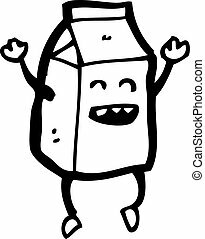 Freehand drawn cartoon milk carton. 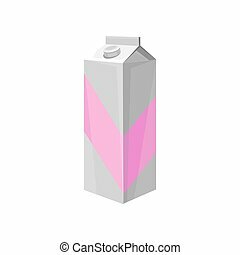 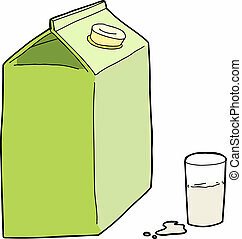 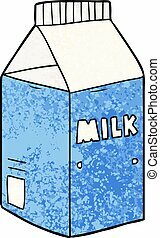 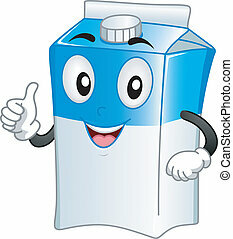 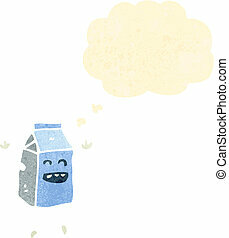 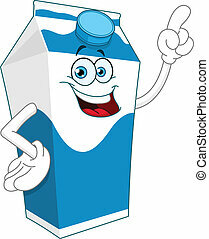 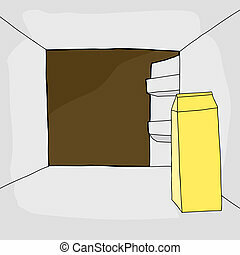 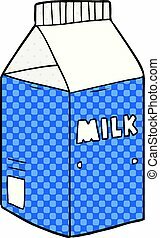 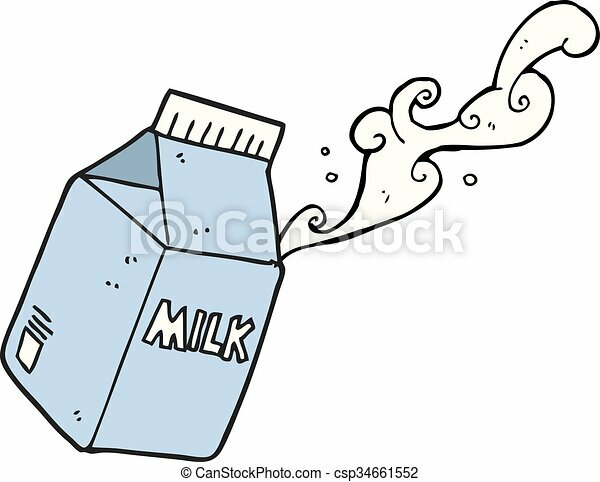 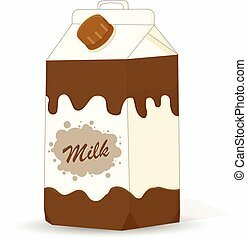 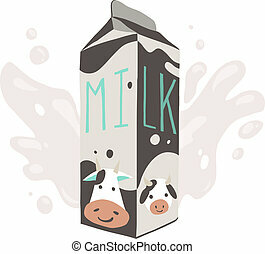 The vector illustration of the carton of milk for games presentations, ui tablets, smart phones. 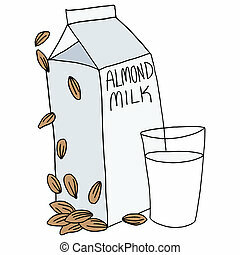 An image of an almond milk carton and glass.